We’ve written about the overlap between Seneca and Jesus—how both were born in the same year and how many of their teachings are similar in nature—and got great responses from the Daily Stoic Community. Our interviews with Professor Joey Dodson and Dr. Kevin Vost on the links between Christianity and Stoicism received wide attention as well. So when we learned about Sr. Theresa Aletheia and her Memento Mori project, we immediately reached out to request an interview. Please enjoy this interview with Sr. Theresa Aletheia Noble! First, can you tell the Daily Stoic community a little about your background and your journey from being an atheist to avowed Christian? I was born into a Catholic family but was always a doubter and a skeptic, full of questions. I first doubted whether God really existed at the age of five. My natural skepticism coupled with the problem of suffering led me to turn to atheism at the age of fourteen. I was a materialist atheist for over a decade. Eventually, I began to realize that my worldview had rather unsatisfying answers to some of life’s most important questions. For example, I did not believe in the immortal soul. But I was also an animal rights activist and often was unsettled by the implications of this worldview taken to the extreme. I was a strict vegan, but I could never accept what many animal rights’ activists argue, that speciesism—a blind prejudice for one’s own species—was the only reason human life is inherently more valuable than animal life. I wrestled with this problem and others for years until I had a conversion experience while I was traveling in Costa Rica. I would have never imagined it as an atheist, but my experience of God in that moment eventually led me back to the Church and later into the convent. How did your interest in the practice of Memento Mori start? The founder of my religious order, Father James Alberione, kept a skull on his desk as a reminder of his inevitable death. When I learned that several years ago, I planned to get a skull for my desk. It was in the back of my mind for years. Last fall, I was going through some difficult times and felt God calling me to meditate on my death. Another sister kindly donated a ceramic skull from her Halloween supplies. I put it on my desk and it all began from there. When you started tweeting a daily thought about Memento Mori inspired by the skull on your desk, what was the response within your community? When I started meditating on death, I wanted to make sure that I would actually do it every day, so I decided to tweet about it. The first day I tweeted “Day 1 with a skull on my desk,” a random thought, and the hashtag #mementomori. I thought I would do it for a couple weeks at most. But there was a huge response and a couple of weeks turned into over a year. Hundreds of people have sent me pictures of the skulls they have bought for their desks. Others have told me that this practice has changed their lives. Just the other day a man from Panama contacted me and told me that he had been struggling with a phobia of death and had been in a very difficult place. He stumbled across something I wrote about the Christian view of death and it really helped him to think about death in a completely different way. I think people have responded so positively to what I am doing because this ancient tradition is powerful and really needed now. In today’s world of fake news and the degradation of reason, we can so easily become detached from the value and the reality of our metaphysical existence. People are very easily led astray and make bad choices if they do not understand the value of their lives and the shortness of existence. Amid so much upheaval culturally and politically, remembrance of death is a practice that can help people to remain hopeful and rooted in the truth. You are obviously most influenced by Scripture and Christianity, but have you read any of the Stoics? If so, do you see any parallels in how the Stoics talk about meditating on our mortality? I am not surprised that Stoicism is experiencing a modern-day revival. The Stoic emphasis on living in accord with reason and virtue is very much lacking today. And I think everyone could benefit from embracing more Stoic realism rather than reasoning solely according to our passions. I think what Christianity adds to the Stoic worldview is a view of divine Fate or Fortune that is more personalized. Jesus showed us the face of God, a face of love. So, amidst our failings, sins, and inability to live perfect virtue, grace abounds. God’s grace provides us with the ability to live even more virtuously than the Stoics perhaps thought possible, (as Augustine points out in City of God when he argues that the Stoics should extend compassion to those who live unvirtuously). Our virtue comes from grace, not self-discipline. However, sometimes Christians can lose sight of the fact that God also gives us free will to choose to behave virtuously. Personally, I find the Stoic emphasis on self-discipline and realism to be inspiring and helpful in my spiritual life. Everything good comes from God, even our good choices, but sometimes we need a healthy dose of realism in our spiritual lives to push us to make the choices we know we should be making in view of death and the afterlife. The practice of thinking about death can often be misperceived as morbid or depressing. What is your response to those people? If the chances that we were going to die were 50%, I’d say to the naysayers, “Sure, maybe it’s worth the gamble not to think about death much.” But the chances we are going to die are 100%. Why would one not make decisions in light of the end of one’s life? People who decide whether or not to get married don’t say, “Let’s not think about it. Maybe we’re compatible, maybe not. Let’s just think about cuddly puppies and butterflies and everything will be fine.” Death is a reality of human life. A reality that every single person is going to face, whether he or she is prepared or not. A reality that you or I might face tomorrow. Each person must choose his or her response to this reality. Am I going to ignore death and allow my repressed fears to seep out the seams of my life and move me to make bad choices? Or am I going to face death, accept it, meditate on it, and really try to understand what this reality means for my life? I believe that anyone who really wants to live a life worth living will do the latter. How has integrating Memento Mori into your life impacted or changed the way you live? My conversion to a belief in God’s existence completely changed the course of my life. And memento mori has been like a conversion within a conversion. I feel like I was swimming through a haze and remembrance of death cut through the haze and sharpened everything around me. Now God is my goal, much more than before. 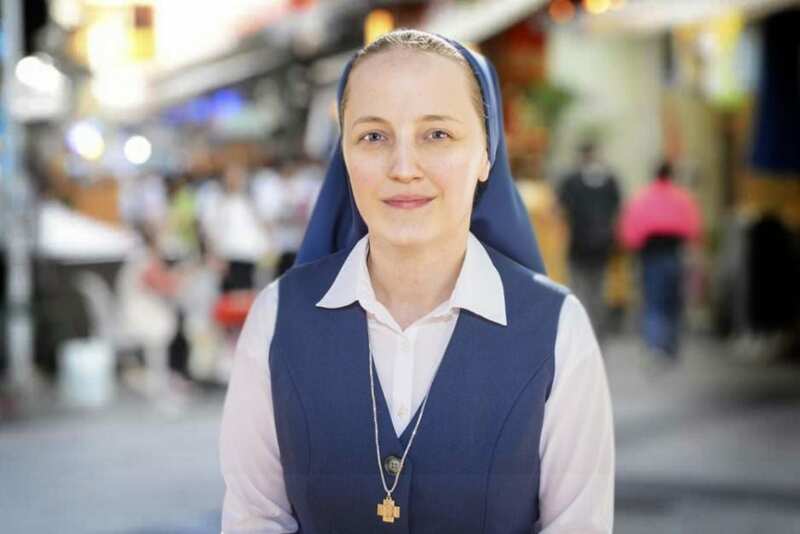 I was a nun living in a convent, but God was not my goal. I cannot say God is entirely my goal even now, but memento mori reminds me continually to make God my goal. We all think we will live until old age, but death could come at any time. Holiness and growing in virtue has become much more urgent in view of the fact that my death is both inevitable and unpredictable. You also created the Memento Mori Journal. Can you talk about your journaling habit, why you do it, and share some tips you might have for getting the most out of journaling? The idea for both projects, Remember Your Death: Memento Mori Journal and Remember Your Death: Memento Mori Lenten Devotional, evolved out of my own journey of remembering my death. I wanted to do something that would help people to incorporate a powerful spiritual practice into their lives. I compiled the journal as a companion to the Lenten devotional. But it can also be used by itself. The journal contains an introduction to memento mori, quotes from Catholic saints, the early Church Fathers, and Scripture, and an appendix of prayers. The Lent devotional is meant to be read during the season of Lent, in the days leading up to Easter. Each day has a reflection written by me as well as a memento mori examen (or review of the day), daily writings on death from the Christian tradition, and journaling prompts. I find the practice of journaling to be an important component of my prayer life and meditation on death. Journaling helps me to dig more deeply into what God is trying to say to me. In a sense, journaling helps me to articulate the inarticulable. I am hoping that the combination of a devotional with reflections and prompts and the journal will help people to really integrate the practice of regular remembrance of death and to understand death in the Christian context. Can you recommend some of your favorite books, articles, or Scripture passages about Memento Mori? My absolute favorite Scripture passage is “In whatever you do, remember your last days, and you will never sin” (Sirach 7:36). The Psalms have really striking reminders of mortality and encourage the importance of remembering death, especially 90:12 “Teach us to count our days aright, that we may gain wisdom of heart.” The Book of Wisdom has some amazing memento mori content. I particularly recommend reading chapters 2 and 3. In the Gospel of Luke, Jesus exhorts his followers to pick up their crosses daily, which I believe in a clear exhortation to remember death (9:23). I have more extensive reflections on many of these passages in my Lenten devotional. But those are just a few of my favorites. Spiritual classics on the remembrance of death that I would recommend include Saint John Climacus’ The Ladder of Divine Ascent, Thomas à Kempis’ Imitation of Christ, and Saint Alphonsus Liguori’s Preparation for Death. A more modern treatment of death that I recommend is Eschatology: Death and Eternal Life by Cardinal Joseph Ratzinger, Death and Afterlife: A Theological Introduction by Terence Nichols, and Love Is Stronger Than Death by Peter Kreeft. I also recommend Etty Hillesum’s An Interrupted Life as well as the spiritual writings of Alfred Delp, SJ. Finally, my fiction recommendations include Muriel Spark’s novel, Memento Mori as well as Flannery O’Connor’s short story, A Good Man is Hard to Find.